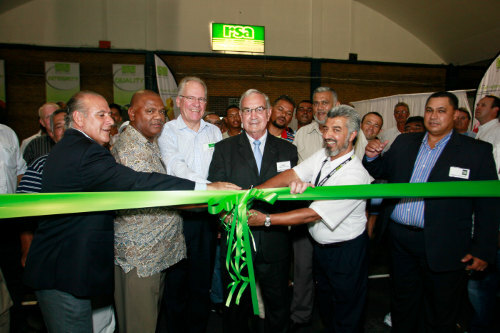 RSA Market Agency has officially opened their doors at the Cape Town Market as of 1 March 2011. RSA Market Agency has been a Fresh Produce Market Agency for close to 26 years and was initially only based in Johannesburg. They have expanded their brand to various parts of the country, and have now found the perfect residence at the Cape Town Market. It has always been a dream of the late Mike Loutfie, founder of RSA Market Agency and Mr. Abduraghman “Maine” Daniels to launch a branch in Cape Town and this has indeed become a reality. Mr. Daniels, Managing Director of RSA Market, Cape Town branch has been in the fresh produce industry for over 30 years and has extensive knowledge of the industry. Their large database of countrywide producers will give buyers a wide range of top quality produce at the Cape Town Market. In the current climate of economic instability, it is refreshing to see partnerships evolve for the greater good of the Fresh Produce Industry.